Writing this when much of England is basking in some summer sun at last is definitely making us jealous. Still we have been pleasantly surprised with the popularity of our brand new range of statues, especially our deer statues which form part of our new animal statue range. We have three different size of deer statues for your garden available. All three sizes, small, large and extra large, all come as a pair of deer that can be positioned together or separately around the garden. Our pair of small deer garden statues combines a Stag who is looking skywards and standing 56.5cm tall and a Doe who is foraging for food and standing at 33cm high. 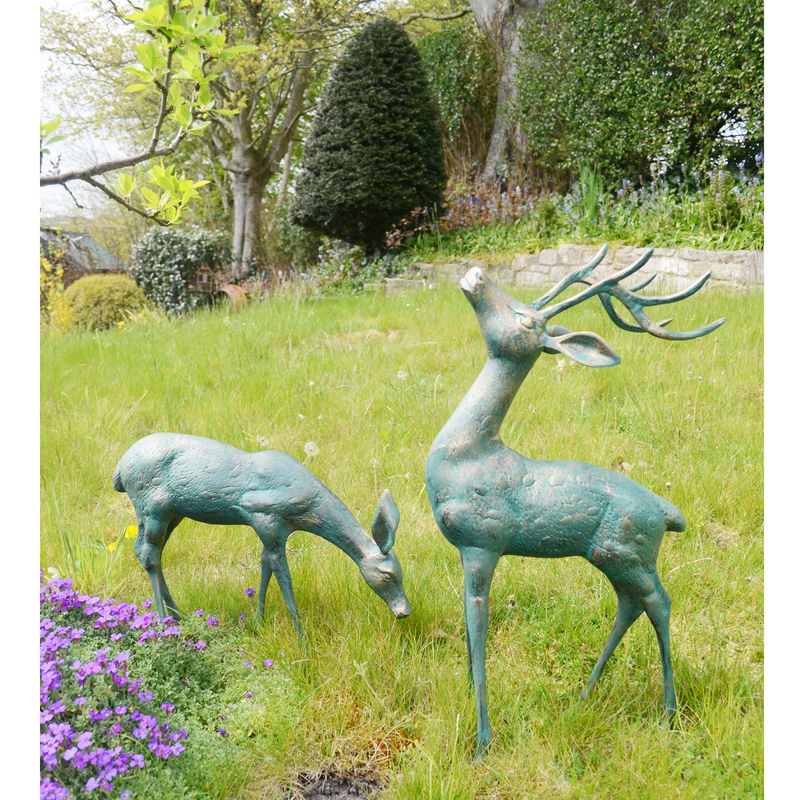 Both of these deer statues are cast in aluminium and have a lovely verdigris finish with just a hint of bronze. They are very stunning and a great addition for your garden. 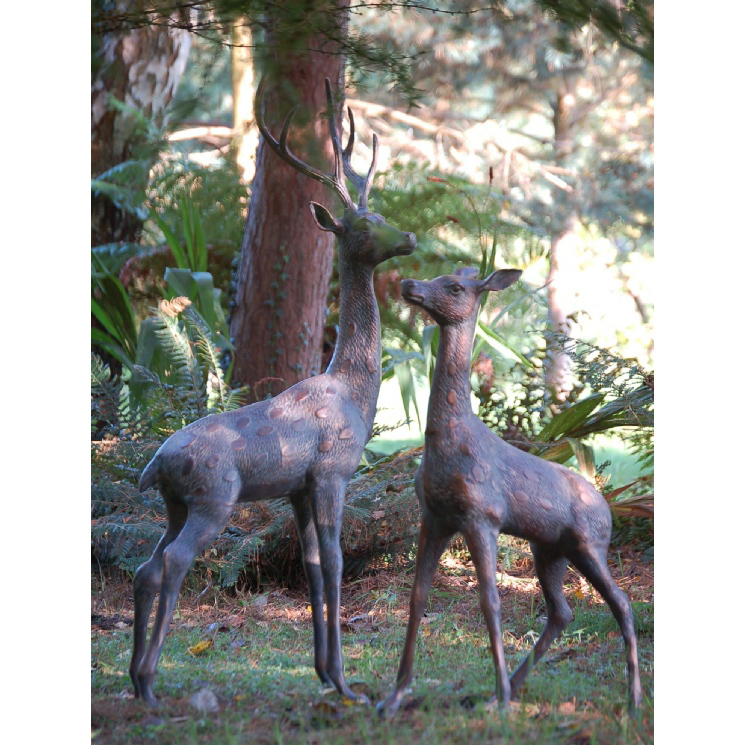 Our pair of large deer garden statues combines weigh a substantial 11kg and 7.3kgs respectively. 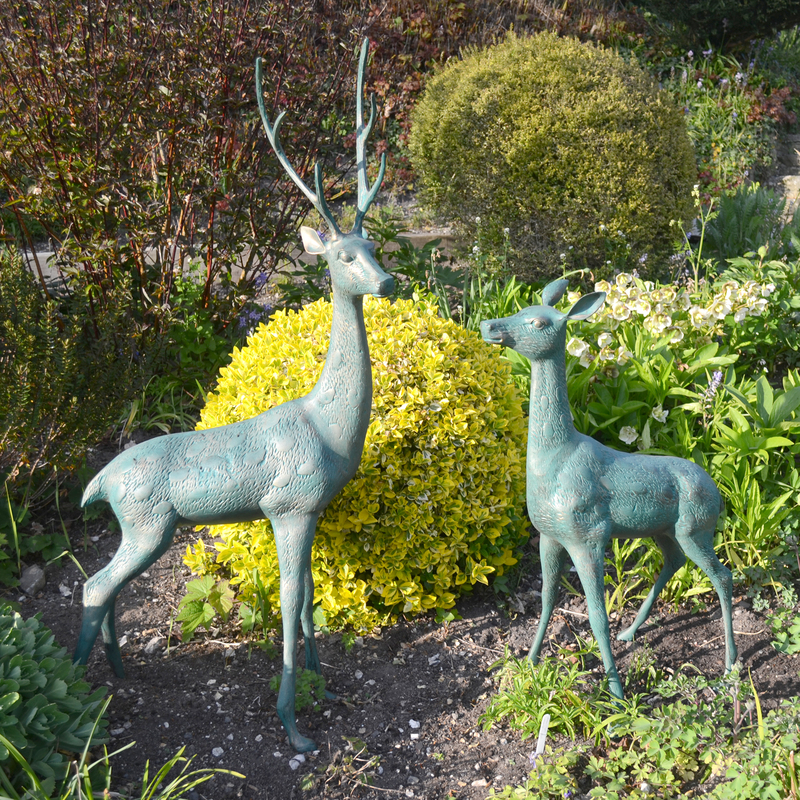 Positioned separately or together, these deer will add grace and charm to the garden. Our pair of extra large deer garden statues combines a Stag who stands at 126cm tall and a Doe who is an impressive 84cm high as well. Both of these deer statues come in an aged bronze affect. They are very stunning and a great addition for your garden.